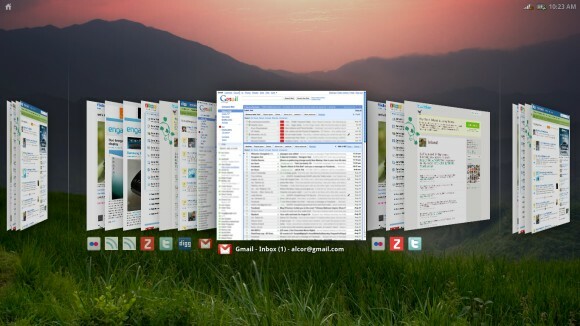 Google posted more images that show the user interface of Google Chrome OS. The interface is still under development, so it may change until the first stable version is released, later this year. Chrome OS uses an interesting visualization for tab overview. "The overview is available via either gesture and hotkey. 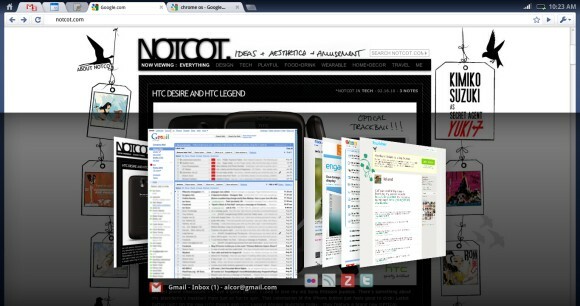 It provides a visual way of switching between windows and tabs. Windows are exploded into the tabs they contain, and all tabs/windows are visible in a single 2.5d space. This model is largely based on Peter Jin Hong & Elin Pedersen's G.L.I.D.E. Tab Navigation. We present tabs in a venetian blind arrangement, ensuring visibility of the top left of every page, and using perspective to compress the most useful portions of the page into the available strips. Favicons are presented as an alternative visual aid." 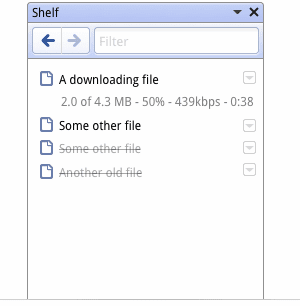 Google also posted some screenshots of the open/save dialogs and the download shelf panel. "The shelf is an on demand target for downloading and uploading. It acts as a temporary resting place for files that have been accessed, and for content being uploaded to websites." Even if the Chrome OS only lets you use a browser, you can still download files and open them using Chrome's multimedia libraries or using web applications like Google Docs. 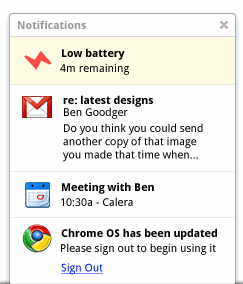 A notification panel will be used for OS and website notifications, so web applications will be able to add their own alerts. Looks even more promising then before! I think the upcoming tabled will use Android 2.2 (which is much more impresive). I'm eagerly waiting for Google Chrome O.S. new version of chrome looks promising. but Google tablets would be Android based. Confirmed: It's a OS with only a web browser installed. Dudee, these pics are old. You should check the pics that the Chromium OS developers have sent to the bug sites. 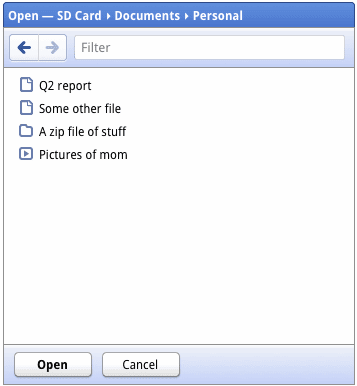 there is a lot of pics of the UI that has not published on the chromium.org site. for example, new login screen. To find these pics you need to make a google search. 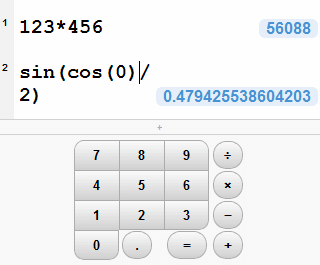 "site:code.google.com/p/chromium-os/* *.jpg"
can I download this version? where? @Brozufil, it's just concept designs so far. They need programmer time to get them implemented. I am eagerly waiting for chrome OS. But i wonder , May I be able to install this Os on my laptop or it will need any special type of hardware. Few months back I heard about chrome release , it was a bundle of code which looked like a linux kernel code. Is there any new improvement? Very Nice! Can't wait to test it out. @ abhishek chrome os only works with certain computers that are optimized to use them. At least that is how it is right now. guys, plan to through your previous versions off!! Google should try to make this system work with older machines - particularly the outdated and slow machines - since the idea is to require less powered machines to run Chrome OS. "The First $20 Million Is Always the Hardest"
I have read somewhere that Chrome OS will not be available as a download. The 'consumer' will have to purchase hardware that has the OS pre-installed. I've been using GatherBack (www.gatherback.com) for screenshots - it's really nice. Highly recommended!